​Joe serves as Chief Investment Officer for The New Home Company. As one of the founders and in his current position, Joe directs The New Home Company’s Land Acquisition, Community Planning, Land Development and Land Sales. Joe has been responsible for creating some of the most admired master-planned communities in the world. At The New Home Company, Joe’s land-planning expertise and extensive relationships in land acquisition led to the immediate success of Lambert Ranch, and to the creation of The Cannery master plan in Davis, California, coming in 2014. During his more than 40 years in the real estate development business, he has held senior management positions at Amfac, Inc., Watt Group Inc., and Chevron Land and Development. His focus for the past 30 years has been on the planning and development of large-scale subdivisions and master-planned communities throughout California. 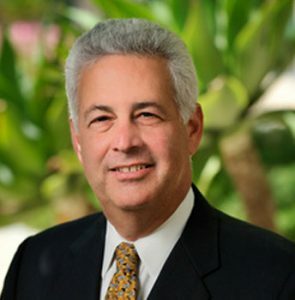 For more than a decade, until the fall of 2007, he served as President of Irvine Community Development Company, where he oversaw the planning, development and marketing of all master-planned communities owned by The Irvine Company on The Irvine Ranch in Orange County. ​He has been the proud recipient of many leadership awards for his dedication to the communities he serves, including the City of Hope and the Boy Scouts of America.